Authors of the best digital stories and their mentors received awards. Fourteen-year-old Kevin Malnar is the author of the best Croatian story “It’s all the same to me…”, where he brings his own vision of life on the Croatian-Slovenian border, which has been divided by a barbed wire since the beginning of the refugee crisis. Kevin’s mentor is professor of Primary School “Petar Zrinski” Čabar Tanja Šebalj-Kocet. 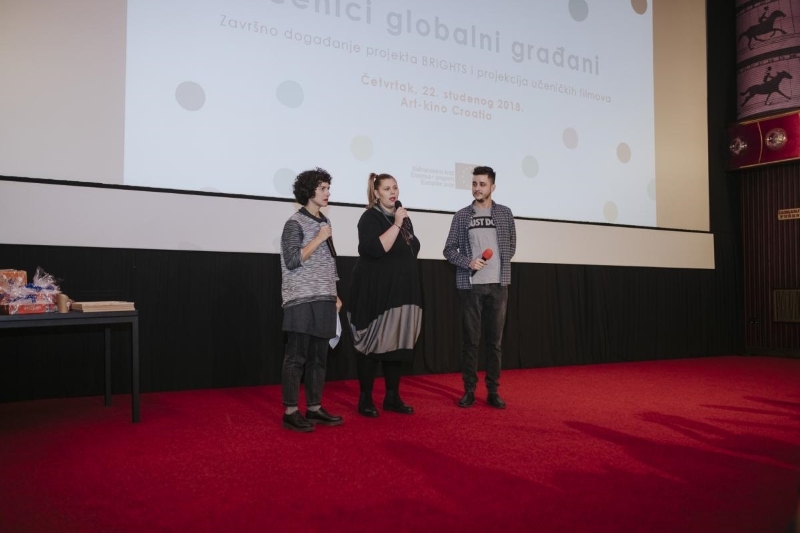 Kevin and Tanja together with the team of the Centre of Technical Culture Rijeka, the association that implemented the project in Croatia, participated in October as Croatian representatives at ALL DIGITAL summit, which this year was dedicated to the topic of digital storytelling. 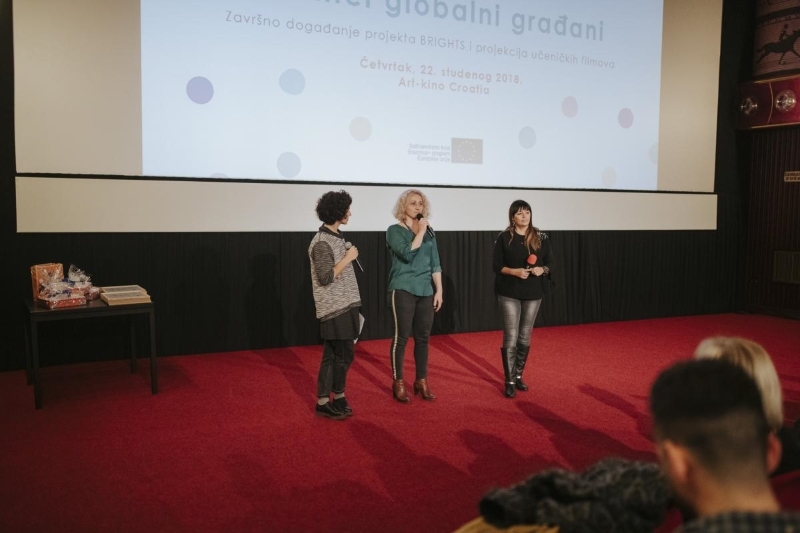 In Croatia the BRIGHTS methodology was embraced by 169 representatives of the non-formal and formal education sector (professors, non-graduate school staff, NGO representatives, trainers …) and over 1200 across Europe. They learned the methodology through the massive online open course “Access to Education for Global Citizenship through Digital storytelling”. The MOOC was awarded in October as the best digital resource for educators in the pan-European network ALL DIGITAL. 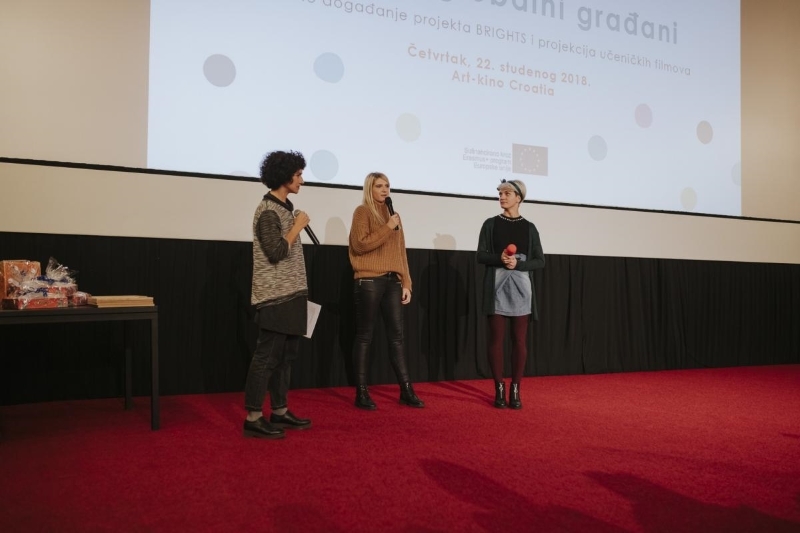 Educators Mirjana Jerković and Ivana Kovač, professors of Primary School “Tin Ujević” Osijek, shared their experience of participating in the BRIGHTS project and the practical application of the BRIGHT methodology with the young people. They emphasized that despite the poor equipment of the school and the end of the school year, they managed to hold workshops with students who had no problems embracing the methodology and making their digital stories. They are going to continue to use the methodology, and in this school year we can expect new digital stories from Osijek. 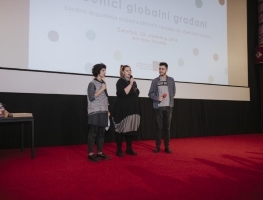 The event “Students – Global citizens” was held as part of the Global Education Week (19th-25th November 2018). If you are interested in education for global citizenship, we invite you to join the first European community that brings together experts, practitioners and others interested in the topic on the Unite-IT platform, which was also developed through the BRIGHTS project.